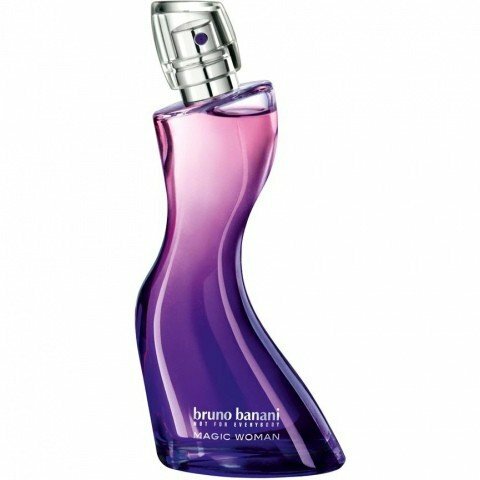 Magic Woman is a perfume by Bruno Banani for women and was released in 2009. The scent is sweet-fruity. It is being marketed by Coty. Contrary to the reviews, I find that the fragrance has an incredible sillage and shelf life. 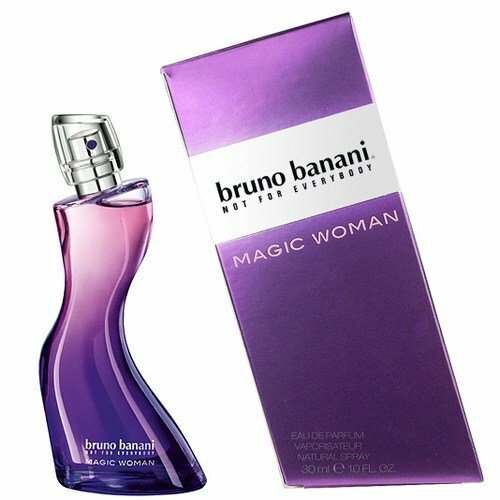 I immediately smell when someone enters the room with Magic Woman or when someone was recently in the room with Magic Woman. But that could also be because I don't like smelling the scent very much. I have the feeling that you immediately smell the things you have a great aversion to, almost reflexively in very low concentration, in order to be able to flee in time. With this smell, I have to ventilate to get rid of it. I've known the scent for a long time, but now I see the scents for the first time. For me the scent always smelled very indefinable, sweet, somehow fruity, but rather synthetic after a general fruit accord created by someone who never smelled real fruit, tropical or something like that. I always saved the overall impression as "somehow banana". But not the good kind of banana, but one that goes towards vomit. The smell also caused me nausea. In his weight he made all the air around me stuffy. I attribute this characteristic to what I now see as being contained, lily of the valley. I love lily of the valley in reality - but this synthetic variant in fragrances always smells like fabric softener and causes nausea, even if you don't smell it clearly, but it acts in secret. I can't imagine a person who would stand this scent well. I don't think anything goes together, the banana one doesn't go with the soapy one, the entire confusion of tropical puke doesn't go with the purple one of the bottle, the title doesn't go with the synthetic fruit jumble. Write the first Review for Magic Woman!